I’m back with another graphic novel recommendation! I’ve been reading quite a few graphic novels lately. They’re not everyone’s cup of tea, so I am never sure if I should share them all here. If you are interested in more graphic novel or comics recommendations, please let me know! My most recent read is Lumberjanes. This was part of my anniversary present from Will. He remembered that I wanted to read this. Lumberjanes is about a group of friends at summer camp. It’s basically Girl Scout camp in comic book form, which is something I can appreciate. 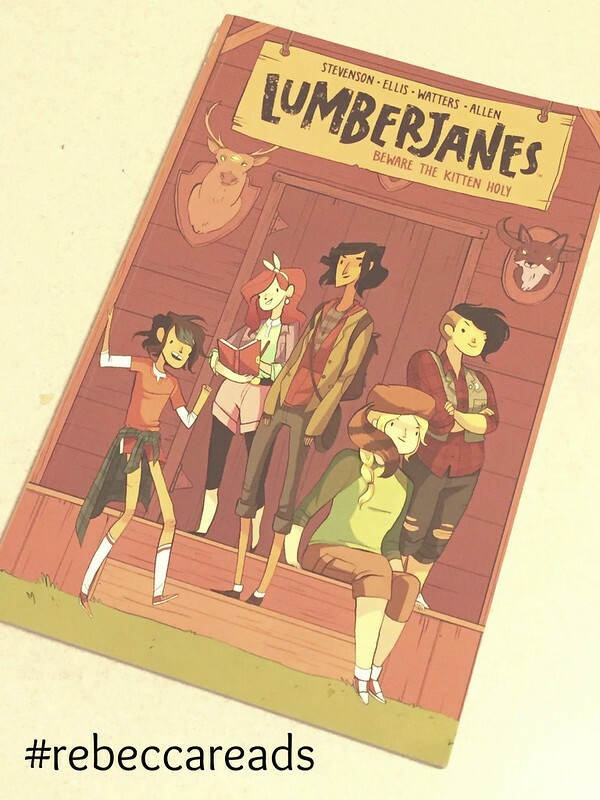 The story is interspersed with snippets from the Lumberjanes Handbook, which is pretty funny. The group of 5 friends encounter some weird things in the woods during their nightly excursions (that are totally against the rules), and the book ends on a really great cliff hanger. I would recommend this to anyone who used to be in Girl Scouts or anyone who could use a little dose of girl power/warm and fuzzies. The action is a little choppy, but this series is about 17 books long. Hopefully it gets better as the story line progresses, but I still enjoyed it!